We have now come to bury Facebook, not to praise it. In the past few weeks, after the revelation that consulting firm Cambridge Analytica had obtained the data of more than 50 million Facebook users to help it craft targeted political ads in favor of Donald Trump and Brexit, Facebook critics and users have found common cause in wondering whether society should distance itself from Facebook. Stories about the social media network’s potential downfall have filled the press. But even as users say it’s time to #deletefacebook, they’re also telling journalists that actually deleting Facebook is a difficult choice to make. 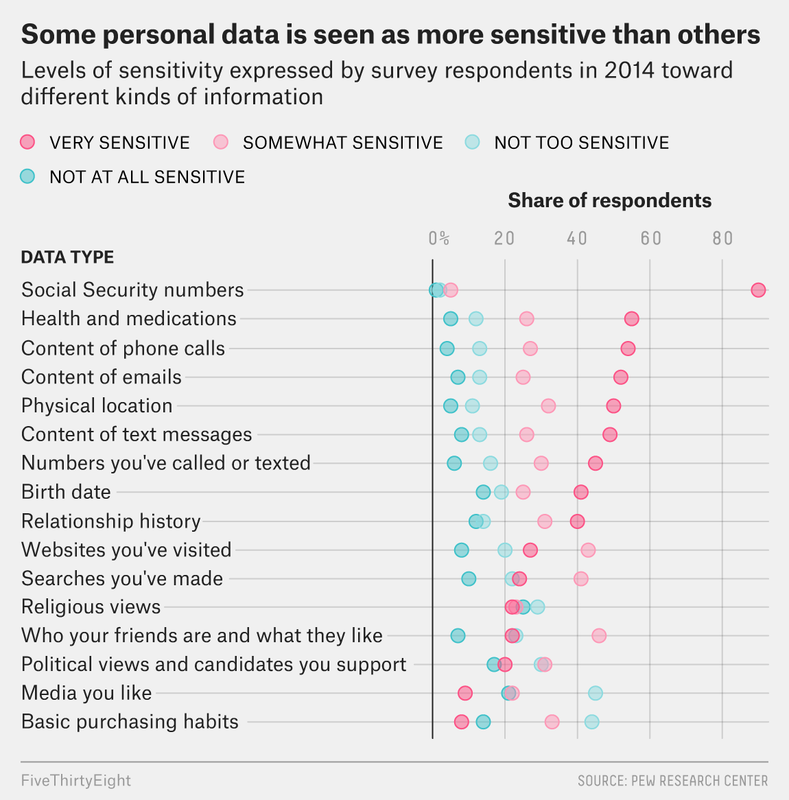 Turns out, that fits with a pattern researchers have been aware of for a while: Americans say they are deeply concerned about privacy on social media. We say that it wouldn’t be too hard for us to walk away from it. And then we keep on using the social media that threatens our privacy. Both polling data and scientific research suggest that, whatever the fallout from the Cambridge Analytica scandal, Facebook has staying power. That’s largely because it offers users real benefits, said Elizabeth Cohen, a professor of communications at West Virginia University who studies social media and society. The people who use it have decided — implicitly, if not explicitly — that those benefits outweigh the risks. Americans are certainly aware of a data privacy issue connected to social media and advertising. A 2014 Pew survey found that 91 percent of adults thought consumers had lost control over how companies (all companies, not just tech companies) collect and store information about us. Meanwhile, the same survey showed that 64 percent of internet users wanted stronger regulations on advertisers. 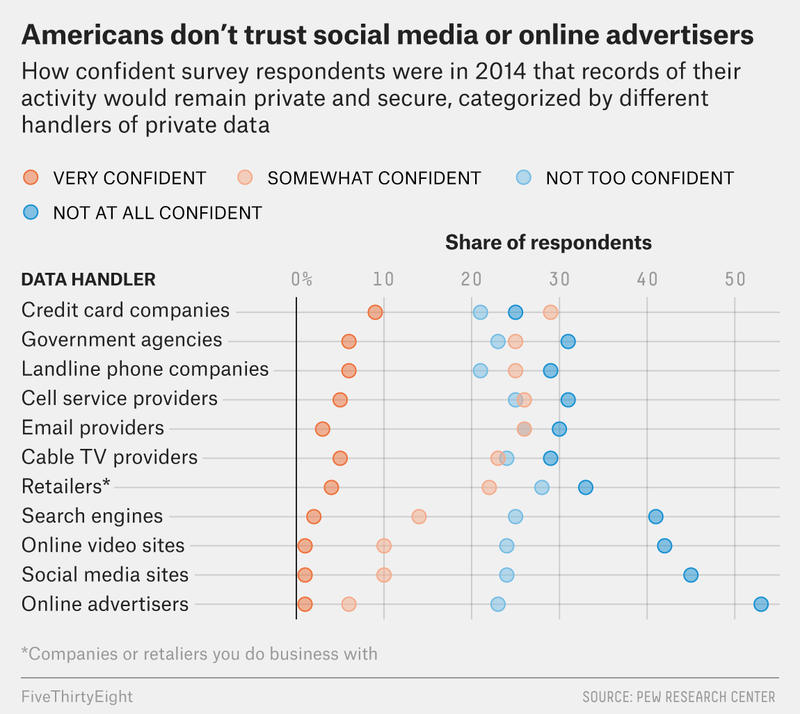 In fact, long before Cambridge Analytica, Americans were already more distrustful of social media and online advertisers than any other organizations that have access to our data. And yet we kept giving it to them. Since 2014, Americans’ use of social media has continued to grow, and nearly 70 percent of all U.S. adults now use Facebook. You see this same dynamic play out in the lab. Numerous studies have found evidence for a “privacy paradox” between our statements and our actions. We say we place a high value on privacy, yet our behavior suggests … well, not so much. For instance, a 2012 study found that 95 percent of research subjects reported being interested in protecting their private information. That same group of people was also overwhelmingly willing to shop at a store that required them to provide information about their income and date of birth if it would save them a single euro. So what makes social media so sticky even though we know it’s also risky? The answer, perhaps unsurprisingly, lies in the whole “social” part, said Cohen and Andreas Kaplan, a marketing professor who studies social media at the ESCP Europe business school. Social media, and particularly Facebook, has become the place where our social lives happen. Sixty-seven percent of Americans say online communication strengthens their relationships — compared with just 18 percent who say it makes those relationships weaker. If you aren’t on Facebook, you’re missing out on important parts of your friends’ lives — maybe even missing your friends entirely, if they live far from you. And even though not all of our experiences online are good, more of us report being treated kindly than report hostility. Same with how often we see people help each other on social media rather than needing to leave a social media group because it turned mean. That ties in with what scientists call “ambient awareness” — a theory that having access to regular, small, seemingly disconnected bits of information about a person’s life can build stronger social connections, help us feel more bonded and make us happier. The biggest reasons people give for why they use social media are about social connection — staying in touch with family members and friends who don’t necessarily live nearby. Those are real effects, Kaplan said, not just some perceived impact we’re manipulated into believing is real. If you just can’t quit Facebook, it could be because you have decided that the benefits outweigh the risks. Maintaining relationships with far-flung cousins and college friends is valuable to you. That the world could find out you’re a Bernie Bro maybe isn’t. None of this is to say that you shouldn’t be concerned about privacy on Facebook or other social media. It’s more that when attempting to make a stand against it, you’ll need to grapple with the fact that it really does provide something useful — and that choosing to step away means more than just stepping away from a company, or from a place to share selfies.